FAQ - What is Carnauba wax? Vegetal wax gathered from the leaves of the Copernicia Cerifera tree from South America (mainly Brazil). The tree grows to a total height of 10-12 meters and lives for approximately 50 years. The wax protects the leaves from withering caused by the arid climate. The leaves are harvested several times a year from the same tree between the months of September and March. It takes approximately 200 leaves to produce 7 kg of wax. Carnauba wax is the hardest and most resistant of natural waxes. 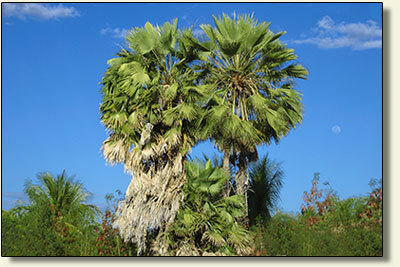 It is yellowish and has a pleasant odour of palms. It is used in URAD cream because of the protection it offers and for its exceptionally brilliant long-lasting shine.